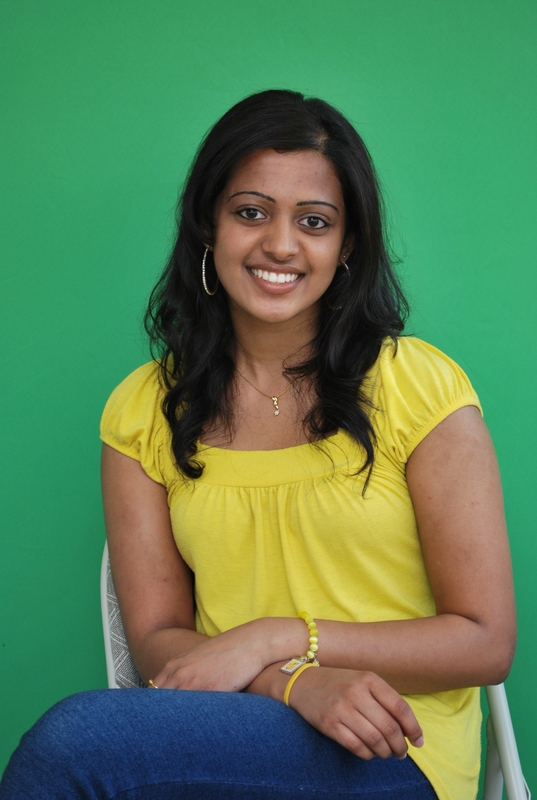 Alfi Thazhathel is a new Project Manager serving in Crowley ISD. I joined Communities In Schools in fall of 2013 as a Project Manager, eager to begin my career in Social Work, especially working with students at a school. The training sessions were intense–it seemed like there was so much information to absorb! My fellow co-workers encouraged me along the way, reassuring me and empowering me as I moved toward my first day working inside the school. On my first day at North Crowley 9th Grade Campus, I was introduced to the school staff, a friendly group who welcomed me with open arms. I truly enjoy working with each and every staff member. They make me feel as if I am making a difference and a vital part of the school’s team. Similarly, the students at the school are very respectful and understand that I am there to help them succeed. In just a short time, we have developed strong relationships–they view me as someone who is always there for them. Even in a short time, there have been many successes to celebrate. I have coordinated school-wide events, class field trips, and other activities for the students. I have provided effective individual services and case management, with many students showing improvements in grades, attendance, and behavior. Low self-esteem and anger are prevalent at my school, and group sessions with students who struggle in these areas are already proving very successful at addressing the issues. As with any job, there are some challenges, mainly paperwork! It can be difficult to keep up with intense documentation as time flies by each day. However, a critical part of the CIS model is accountability and tracking the effective and performance outcomes of our program. Student data allows us to analyze our practices, improve where needed, and monitor students’ progress throughout the year. Another challenge is finding adequate time to meet with the students, to provide them with the in-depth support we desire for them. We are constantly trying to strike a balance between providing them with the support they need for individual or group sessions without interrupting classroom time. Despite the challenges, I truly enjoy going to work every day. I can see the difference I am making. Seeing students come in to my office with a frown and leaving with a smile truly makes my day. The dream I had of making a difference in the lives of young people is slowly coming true. I am thankful to be a part of the CIS team. Categories: CIS Staff Posts | Tags: communities in schools, Crowley, dropout, education, fort worth, social work, social worker, tarrant county | Permalink. Believe it or not, it is 2012. With the start of the new year here at CIS we are saying goodbye to a close friend, Yvette Hanshaw who has helped CIS grow into 38 schools in seven school districts. She accepted the position of Director of Development for the College of Communication at TCU. We already miss her smiling face. We are also saying hello to a new school, Sharrod Elementary School in Arlington. We are interviewing now to find the perfect social worker for that school. As we returned from the holiday break, we also learned that two of our staff members are now engaged! Congratulations to Myra McGlothen and Alejandra Morado…….2012 will be a big year for the two of you. One last thought – In our December e-newsletter we asked for help to restore the right ear for one of our elementary school students who was born without the outside part of her ear. Her family needed about $5,000 to move the process forward and we received generous gifts that moved them closer to that goal. Members of the extended CIS family always seem to come through when we need them. Thank you for your generosity. Categories: CIS Staff Posts | Tags: cis, cis social work, cis tarrant, communities in schools, communities in schools blog, communities in schools of greater tarrant county, dfw, dfw nonprofit, drop out prevention, dropout prevention, education, education blog, fort worth, integrated student services, mike steele, nonprofit, nonprofit in dfw, nonprofit in fort worth, social work, tarrant county, texas, texas education, tx | Permalink. The holiday season is a time of reflection and thanks. Family is always my first thought, but I am lucky enough to have a great family at work too. That family includes our Board members…..all of whom came to us because of their passion to help kids and specifically to help them secure an education……the kind of help that lasts a lifetime and into future generations. But at this time of year, my heart really goes out to our staff. None of these wonderful people are here because of great salaries. CIS people, social workers, financial, marketing and other office staff find their way to CIS and stay with CIS because they know CIS is making a difference in the lives of thousands of kids and their families. It is not everybody who is lucky enough to get paid for doing something that they really love. I am thankful for the opportunity to be associated with so many wonderful and dedicated people. Those of you who know me know that I love my job……you hear me say it all the time. I also hear it from CIS people all the time. 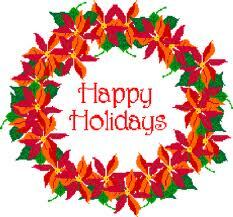 So I want to wish a very happy holiday season to everybody in the CIS family…..a very special family. Categories: CIS Staff Posts | Tags: appreciation, blog, ceo, cis, cis blog, cis of greater tarrant county, cis tarrant, cistarrant, communities in schools, communities in schools blog, communities in schools of greater tarrant county, dfw, dfw nonprofit, drop out prevention, dropout prevention, education, fort worth, holiday, integrated student services, mike steele, running with scissors blog, social work, social workers, tarrant county, texas, texas education, thankful, thanks, thanksgiving, the holidays, tx | Permalink. I was very blessed to always have the support of my parents when I was in school. My parents have always encouraged me to be better than them; to aim higher and fight harder. I was the first in my family to graduate from high school and continue on to get a college degree. I am the new Marketing and Special Events Coordinator at CIS (8 days strong) and I am excited to be part of such an incredible agency. During my initial interview, Yvette Handshaw, Vice President and Chief Development Officer, shared a student’s success story with me and I wanted to ask her if it was okay to cry! I was so inspired and touched by the story I had to choke back my tears. I’m pretty sure it’s not appropriate to cry during an interview. I knew at that moment that I wanted to be part of CIS. In my position I will be working with committees, board members and other staff to bring awareness to CIS and raise money so we can keep Tarrant County kids in school. I am here to do my part so that our at-risk students can aim higher and fight harder too. Categories: CIS Staff Posts | Tags: blog, cis, communities in schools, communities in schools of greater tarrant county, dfw, drop out prevention, dropout prevention, education, education blog, fort worth, integrated student services, nonprofit, nonprofit blog, running with scissors, running with scissors blog, social work, tarrant county, texas, tx | Permalink. Tarrant County in 2030: What does this mean for education? Every 10 years, the U.S. government sets out to count all of the people in the country. This helps our leaders to ensure that money is allocated fairly – that there are the right roads, houses, infrastructure and most importantly the right number of schools. The 2010 census showed that Tarrant County was the fastest growing county in Texas at 25% (Fort Worth outpaced all major metro areas in Texas at 38.6%). This growth rate was driven by growth in the Hispanic population but saw increases in African American and Asian population as well. This resulted in more multicultural cities and suburbs. On the whole, a lot to be excited about. The bottom line is that there are a lot of school aged students in Tarrant County who need help. Many of them are at risk of being left behind. Their economic disadvantage translates into lower TAKS passage rates especially in math and reading. Getting left behind in school leads to increased dropouts. And high school dropouts are nearly twice as likely to live in poverty as graduates thus repeating the cycle. One of the key ideas to this census data is that with this growth comes more students just like the students we are currently serving in Tarrant County. Students who will need help to stay in school and be successful. Our state’s economic prosperity depends on an educated and effective work force. Our state’s liberty depends on having responsible citizens. What will Tarrant County look like in 2030? Undoubtedly it will be larger, more diverse, more non-English speaking, and more spread out geographically. By 2030, estimates show that Texas will add 13.6 million people – the equivalent of adding another DFW, San Antonio, Houston and Corpus Christi. What will that mean for education? – Stacy Landreth Grau, Ph.D. Categories: Education, Updates & News | Tags: 2030, cis tarrant, communities in schools, communities in schools of greater tarrant county, dfw nonprofit, dropout prevention, education, fort worth, future of texas, integrated student services, nonprofit in fort worth, Stacy Landreth Grau, tarrant county, tarrant county in 2030, texas | Permalink.